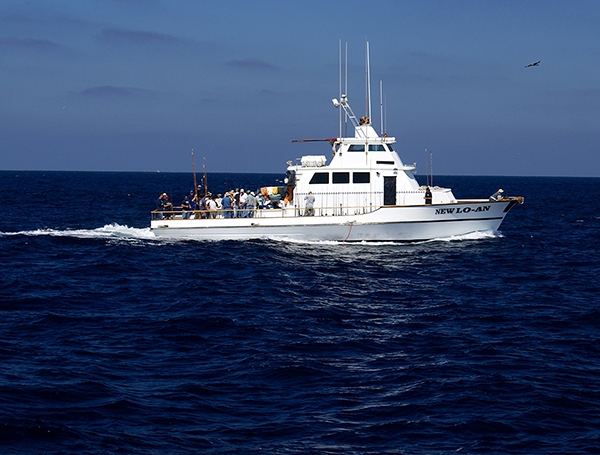 Whenever the Santa Ana’s are howling on the coast, the weather offshore tends to be beautiful. The last couple days were no exception. On our first day of fishing, we had barely enough wind to be able to get baits out away from the boat. Yesterday, we did get a little taste of the Santa Ana’s all the way out at Cortez Bank. Luckily it was never more than necessary to fly a kite. 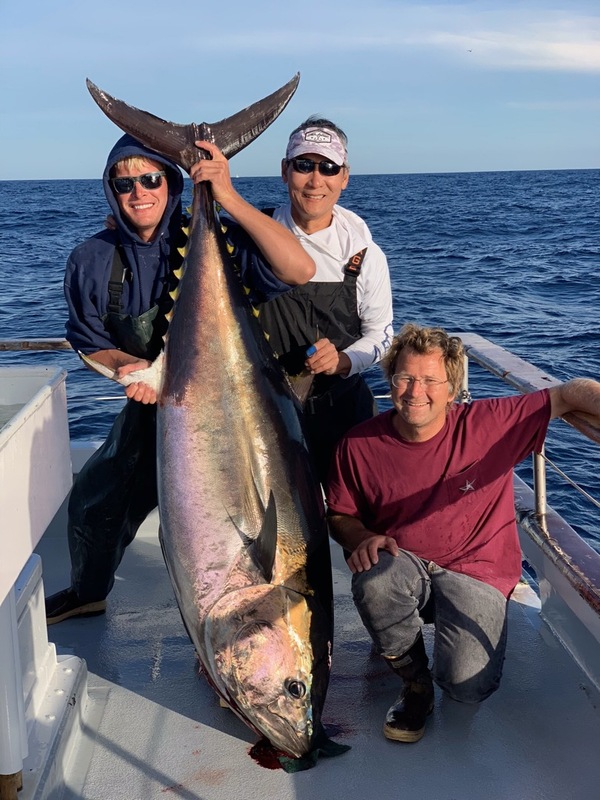 Fishing was steady the first day on 40-60 lb bluefin, with a few 20 lbers thrown in. 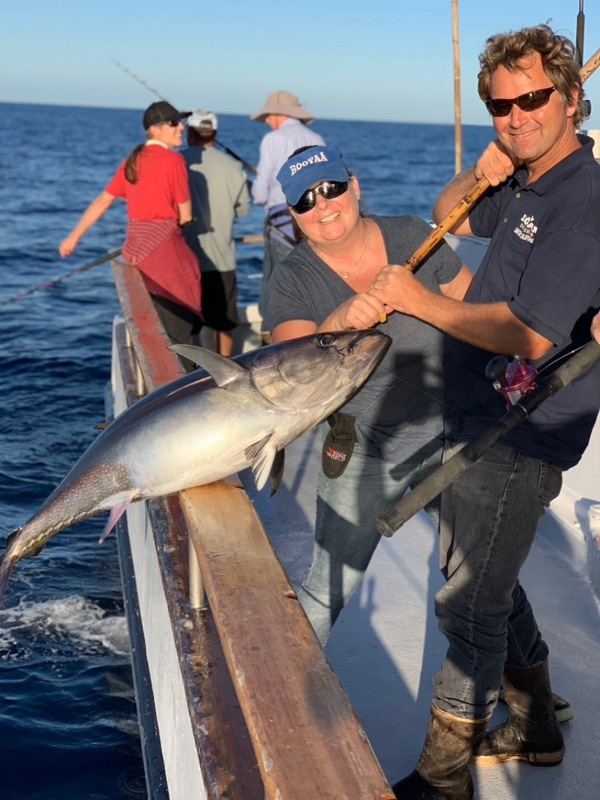 We ended the day with limits for the day for our 18 passengers, and had one good show on big fish that caught us by surprise. The second day was a little slower, with a higher percentage of little guys. 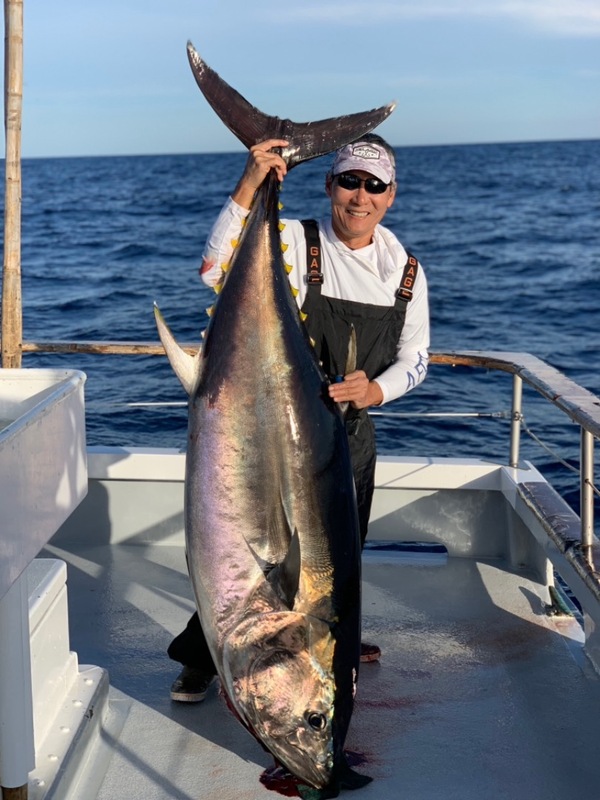 However, we did have another run in with Jumbos and missed a monster on the kite, while Charter master Chris Yamada picked up his fourth bluefin over 200 lbs for the year. 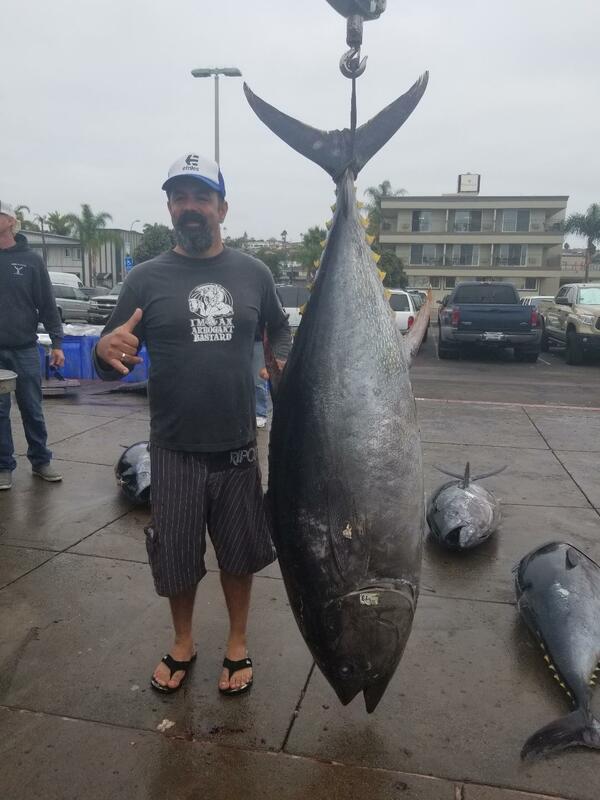 It was a beauty at 252 lbs. 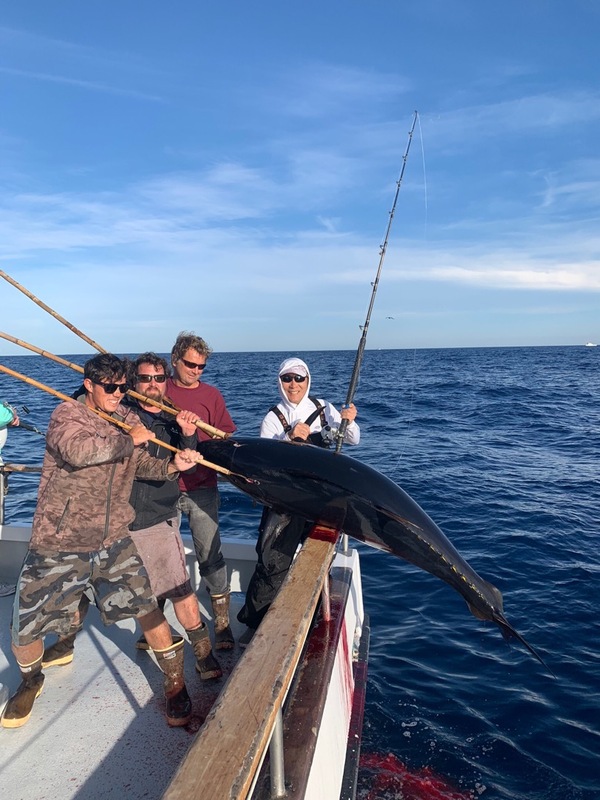 A couple more big ones were hooked on 30, 40, and 50 lb gear, but as expected, those fights did not end in our favor. 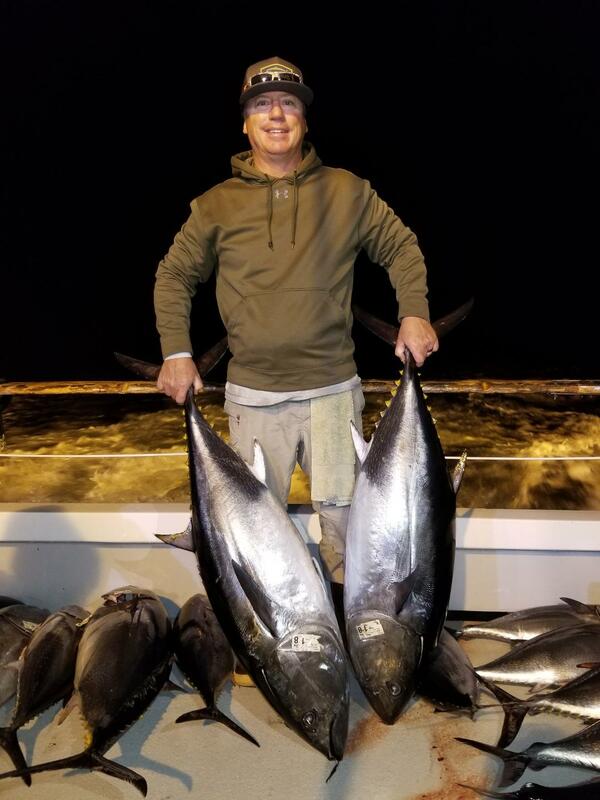 At the end of the trip we ended up with 68 bluefin for our 18 anglers.